Mona Nasser is a Clinical Lecturer in Evidence based Dentistry at the Penin sula Dental School , Plymouth University, UK. She is the co-convenor of the Agenda and Priority Setting Methods Group and is currently working on methodological aspects of the quality and success of different research priority setting exercises. In addition to this, her research intersts includes the methodology of systematic reviews, clinical decision making and teaching evidence based health care. She was the convenor of the Cochrane Developing Countries Field (previously network) from its establisment until her move to Germany. She established and led the Iranian Cochrane informal network, building an international network that included volunteers from Bahrain, Brazil, Germany, Iran, Jamaica, Singapore, UAE, UK and the US all working on systematic reviews in health care (the ViTAMIN project). She is currently the author representative on the Steering Group of the Cochrane Collaboration. Sally Crowe is a Director of Crowe Associates, which provides consultancy, training, and project management for patient and public involvement in health. She has published a BMJ Wiley Blackwell patient and public involvement toolkit, and teaches patients and the public critical appraisal and understanding evidence skills.From 2007 to 2013 she co-chaired the James Lind Alliance http://www.jla.nihr.ac.uk/, an endeavour to agree shared health care research priorities between patients, public and clinicians, and continues to support research partnerships in the UK and internationally. Sally is a member of Cochrane, both as a consumer representative and as a member of the Prioritization Methods Group (with a particular interest in engaging patients and the public). She is on the Editorial Board of the Research Engagement and Involvement Journal and a member of the BMJ Patient Panel. Vivian Welch, PhD (Population Health) is a scientist and director of the Methods Centre at the Bruyère Research Institute, Bruyère Continuing Care and assistant professor, School of Epidemiology, Public Health and Preventive Medicine, University of Ottawa. Her research interests include health equity and systematic reviews, rapid reviews, clinical guidelines and primary research. Vivian led the development of a reporting guideline for equity-focused systematic reviews, as an extension to the internationally recognized PRISMA statement (Preferred Reporting items for Systematic reviews and Meta-Analyses). Vivian is a co-convenor to the Campbell and Cochrane Equity Methods Group and a member of the international Grading Recommendations Assessment, Development and Evaluation (GRADE working group). Sandy Oliver, BA, PhD, FHEA is a Professor of Public Policy at the Social Science Research Unit at the Institute of Education University of London. She is an editor for the Cochrane Consumers and Communication Review Group and a member of the James Lind Alliance Strategy and Development Group. 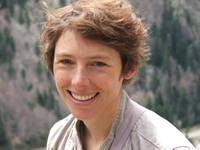 Her research interests include the contributions of lay people in health research, advancing evidence-based health promotion and public engagement in natural sciences and social research. Her special interests involve making knowledge more democratic, through public involvement in doing and using research, and synthesising and sharing research literature. Ten years as an advocate of maternity service users was followed by an academic career developing systems to support public involvement in research and policy, nationally and internationally. Ed is a co-convenor of the Cochrane Agenda and Priority Setting Methods Group and of the Campbell and Cochrane Economics Methods Group. His expertise is in decision analytic modelling, economic evaluation alongside clinical trials, and in particular in efficient research design using value of information analysis, a quantitative approach to estimating the return from investment in research and for setting research priorities. He is a senior researcher in health economics at the Cambridge Centre for Health Services Research at the University of Cambridge. Roberto D Amico,with a degree in statistics from ‘La Sapienza’ Univerity Rome , postgraduate course in pharmacology and a PhD in Public Health, is an associate professor in Biostatistics at University of Modena and Reggio Emilia and the director of the Italian Cochrane Centre. He is a member of the Ethics Committee at ‘Ospedale Maggiore’ in Bologna and also for the commission overseeing the clinical experimentation in the Department of Oncology and Haematology at the Policlinic of Modena. His areas of professional expertise include: a) methodology of clinical research and epidemiology; b) methodology of systematic reviews and meta-analysis of efficacy and diagnostic accuracy studies; c) analysis of the quality and reliability of medical literature; d) evaluation of the performances of models; e) evaluation of the quality and reliability of the results from non randomized studies. , postgraduate course in pharmacology and a PhD in Public Health, is an associate professor in Biostatistics at University of Modena and Reggio Emilia and the director of the Italian Cochrane Centre. He is a member of the Ethics Committee at ‘Ospedale Maggiore’ in Bologna and also for the commission overseeing the clinical experimentation in the Department of Oncology and Haematology at the Policlinic of Modena. 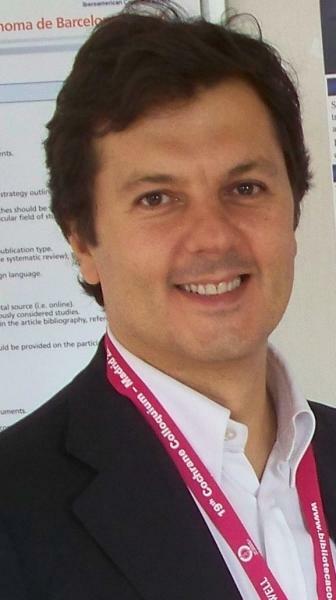 His areas of professional expertise include: a) methodology of clinical research and epidemiology; b) methodology of systematic reviews and meta-analysis of efficacy and diagnostic accuracy studies; c) analysis of the quality and reliability of medical literature; d) evaluation of the performances of models; e) evaluation of the quality and reliability of the results from non randomized studies. Soumyadeep Bhaumik is a medical doctor and an international public health specialist . He currently works in The George Institute for Global Health-India . Soumyadeep co-ordinates activities within the group and is involved with the capacity building and engagement activities of the group. Soumyadeep has extensive experience in teaching and conducting evidence syntheses , including consulting for leading international and national agencies.Apart from evidence syntheses and priority setting his research interests include clinical practice guideline development, program implementation, equity, neglected tropical disease and health policy. Soumyadeep is also an Analyses Advisor, The BMJ and Associate Editor (social media), BMJ Global Health. Moni is an analyst in the Science Policy and Research team at National Institute for Health and Care Excellence (NICE), UK with a particular focus on exploring the impact of NICE research recommendations (identification, prioritisation, return of new evidence generated).Moni facilitates the internal (NICE committees) and external (research funders and researchers) relations in promoting and prioritising important NICE research recommendations. Main funding engagements include: the National Institute for Health Research (NIHR) Health Technology Assessment - HTA; Health Services and Delivery Research - HS&DR, and Public Health Research (PHR) programmes, NIHR School for Public Health Research; the Medical Research Council plus the UK Prevention Research Partnership. We developed a series of blog posts with simple descriptions of research priority setting methods. Click here to read these blog posts. We are working to develop more blog posts and welcome volunteers to engage with it. If you are interested, please email Soumyadeep or Mona.